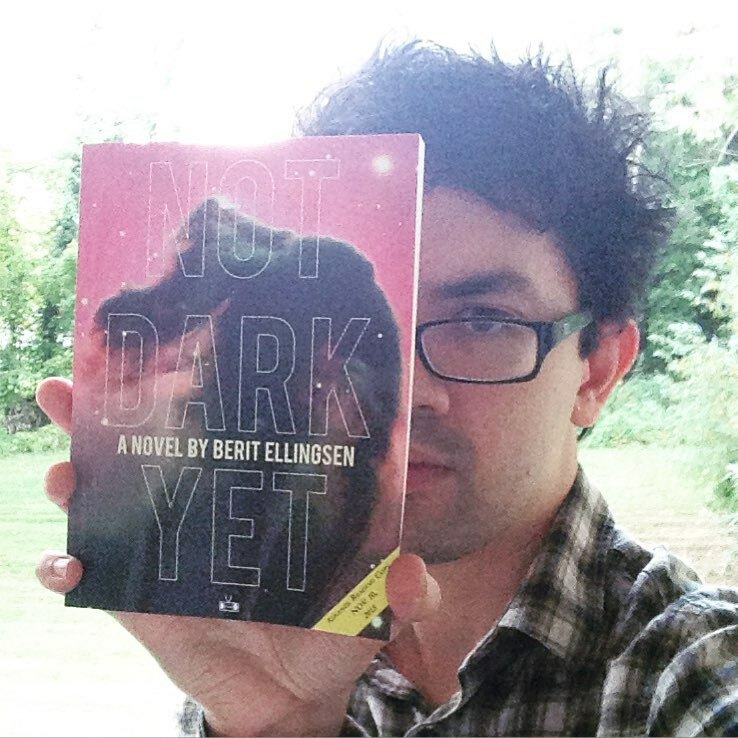 The first advance copies of Not Dark Yet (out in November) have been spotted in the wild. Jeff VanderMeer has caught one. Thank you so much, Jeff! 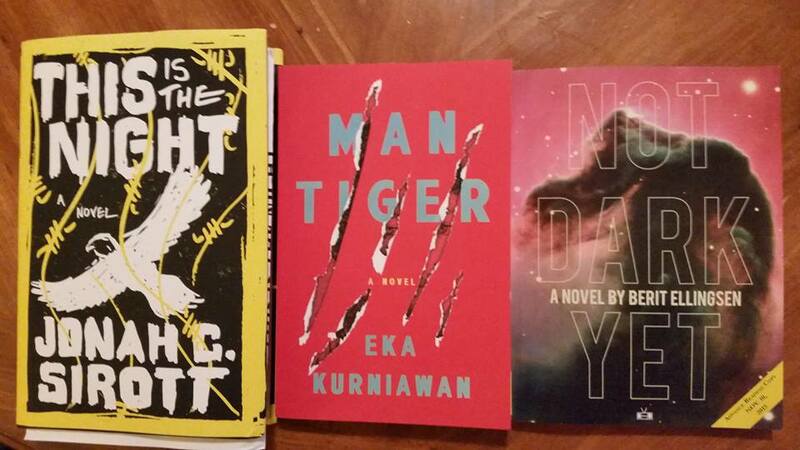 I’m looking forward to your new books, Borne, and Bliss. One more copy has been caught by Michael J. Seidlinger, writer and editor of Civil Coping Mechanism Press. He’s just out with his own book, The Strangest. And another copy has been photographed by writer and editor Gabino Iglesias, who has new work in Lazy Fascist Review Issue 3. Hope it goes well Berit!